This has absolutely nothing to do with drinks or elderflowers or 'collinses,' but bear with me anyway. Last week, Dingo caught a bird! This bird is probably the brightest, most colorful bird in all of Utah. It definitely wasn't native to the area. I know this because it was a parakeet that Austin's parents bought and kept safely stowed away in a cage in their living room for years. Austin's dad was at home with Dingo when he heard her clomping around in the living room. After he checked out the situation, he noticed that there were a lot of blue feathers floating around her "toy" that she was "playing" with. He got Dingo off the bird and put it back in the cage while it was screaming its head off. He's quieted down now and seems to be coming out of his shock. Sure, his tail feathers are gone and he has some ruffled feathers (literally) on his chest, but she didn't kill him! I call that a win! I told you this had nothing to do with the pictures or title of this post, but cheers to Dingo for resisting her animal instincts! Also, if you've never tried St. Germain (Elderflower Liqueur) before, this is an easy, refreshing drink to start with. 1. 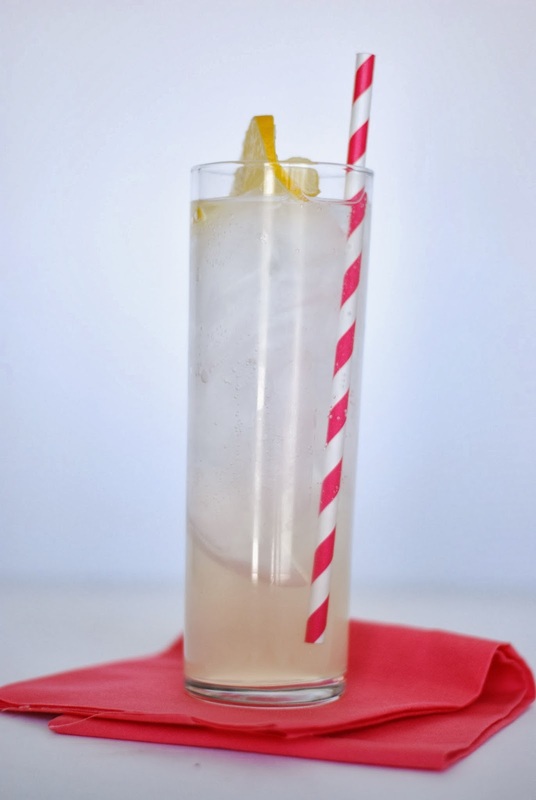 Pour St. Germain, gin and lemon juice into a shaker over ice. Pour into an ice-filled glass. 2. Top with soda and garnish with a slice of lemon.